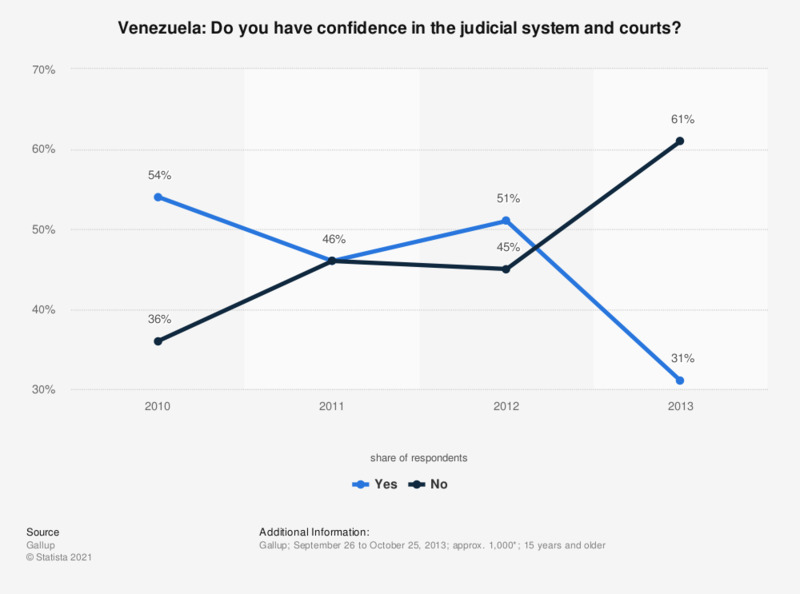 This statistic shows the results of a survey conducted in Venezuela from 2010 to 2013 on the confidence in the judicial system. In 2013, 61 percent of respondents stated they have no confidence in the judicial system and courts in Venezuela. Venezuela: Do you think corruption is widespread throughout the government?